Love this Flannel Clearance ONLY $12.99 (Retail $34.95). 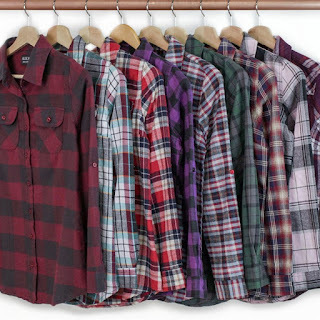 These plaid flannel shirts give you a modern twist to any outfit this season! Button up, worn open, tucked into a skirt or tied around your waist. It is the perfect wardrobe staple! We love the look tied around the waist with your favorite denim shorts, for spring and summer! $2.99 for the first item and $1.49 for each additional item. US only. Seller usually ships within 2 business days. Ships no later than Thu, Mar 22.